The only Russian airline to sign up for the part Belfast-made Airbus A220 has pulled out of a deal to lease six of the larger model planes, it has emerged. Russian media reported that Red Wings has abandoned its plans in the wake of rising costs of a lease arrangement for six A220-300s. The state-owned carrier was set to be the first airline in Russia to fly the narrow body aircraft. Airbus acquired a majority stake in Bombardier's C-series last summer, rebranding the planes into its large portfolio. The wings for the jet series continue to be made at Bombardier's factory in east Belfast. Despite industry body ADS reporting a strong start for 2019 in the aerospace industry, Airbus has already lost an order for five A220-100 aircraft this year after Swiss carrier PrivatAir filed for insolvency. Red Wings had been due to lease the six A220s from Dublin-based GTLK Europe, which is part of Russia's state transport leasing company. GTLK suggested to Russian Aviation Insider that it will still purchase the A220s. "The price of the aircraft increased, which led to the escalation of the leasing rate. [Therefore] the contract with GTLK was annulled. The aircraft will be re-marketed, as there's demand for this type on the market," it said. 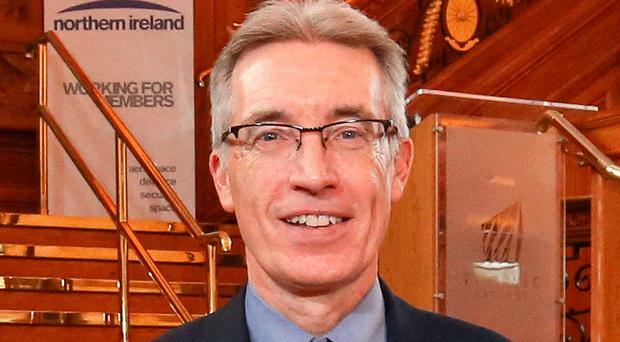 Meanwhile Paul Everitt, who heads UK body ADS, said while the global aerospace industry is thriving, a no-deal Brexit poses a major threat to the UK industry: "As MPs return to Parliament to vote on a Brexit deal, we urge the Government to remove the threat of no-deal and commit to work with Parliament to secure a new approach," he said.